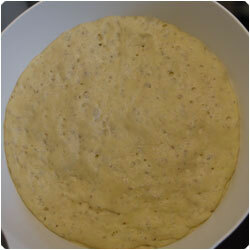 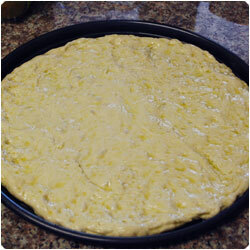 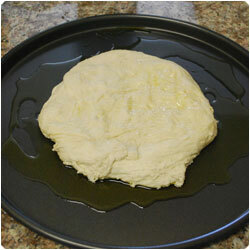 Make the pizza dough (see recipe here) and let it rest for 4-5 hours at room temperature. 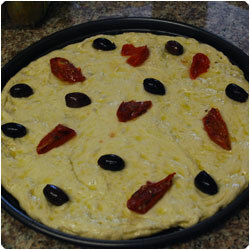 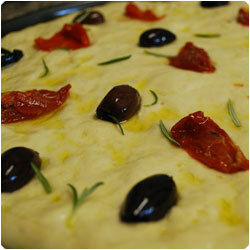 In an oven tray pour 3 tablespoons of olive oil and place the pizza dough ove it. 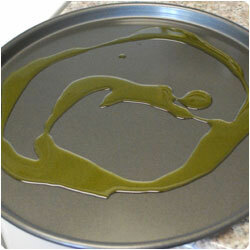 Make the dough flat and flip it a couple of times so the oil wil spread evenly both sides. 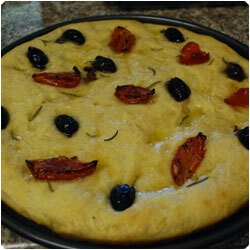 Add olives, sun-dried tomatoes and rosemary. 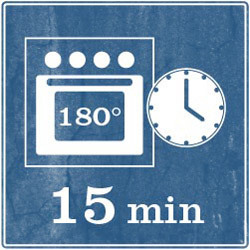 Cook in the oven at 180°C (350F) for 15 minutes until it gets crispy. 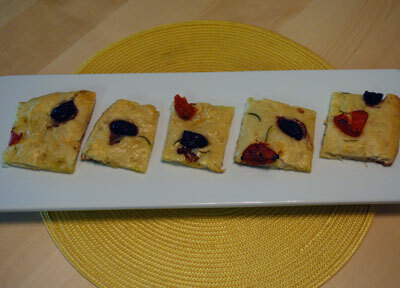 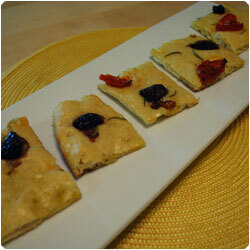 Serve warm in small squares as a great appetizer.